“Beyond the Bestsellers” is a new feature I hope to run at least once a month that highlights YA books that make excellent next reads for those who have been there and done that with the bestsellers. If you’ve read all of John Green and you finished up The Hunger Games series, where do you go next for a satisfying read? I’ll dissect what it is you probably liked in those books and offer up three new books or authors for you to explore. These will be books you’ll find in the stacks of your library or book store — not just the big ones sitting on an end cap. While I have a huge list of authors and books I want to tackle, I’d love to be able to open it up for requests, too, so if you have a young adult book or author you’d like me to consider for the feature, leave the name or title in this Google Doc. 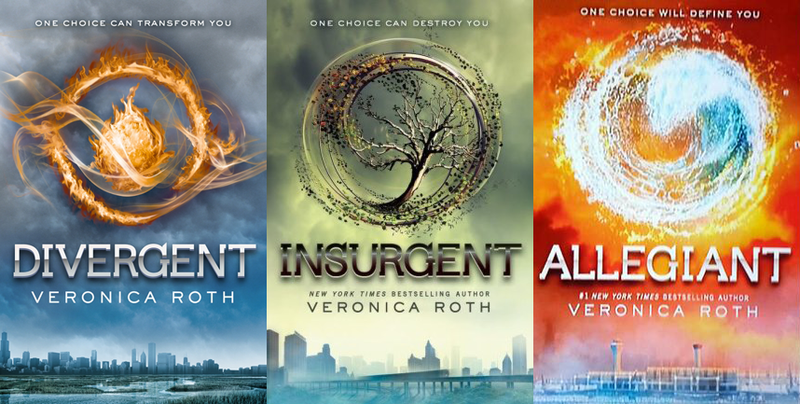 In honor of this month’s release of Allegiant, the highly anticipated conclusion to Veronica Roth’s megahit “Divergent” series, I thought it would be fitting place to start with next books for fans of this series. As always, your mileage may vary. Just remember that no book will ever be “the next Divergent” because we already have Divergent. It’s fast paced, meaning that the book is quick to read. It’s plot-driven and suspenseful, with lots of forward momentum. In Divergent, we discover that main character Tris’s test results suggest she doesn’t fall neatly into a single faction within the first few chapters, and it takes no time for her — and the readers — to discover what looks like a perfect world is terribly flawed. Main character Tris is a dynamic female character. Sure she’s “strong.” Sure she’s “tough.” But what’s most interesting about her is that she’s dynamic. She’s equal parts intelligent and headstrong as she is willing to conceded that she has emotions and allows herself to have them. She can flirt with romantic notions as much as she can stand up for herself and make life-altering choices. 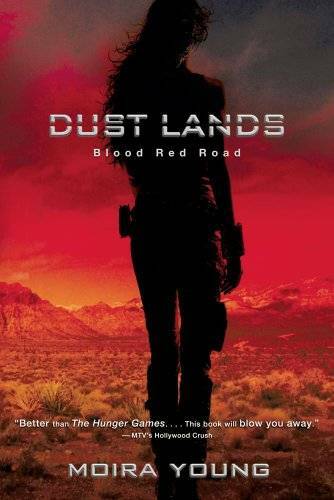 The “Dustlands” trilogy, starting with Blood Red Road, by Moira Young. This dystopian features a strong-willed female main character who must make major life choices that impact not just her future, but the lives of those in her own family, as well. This series is fast paced, features a romantic subplot, and the setting is as bleakly memorable as Roth’s future Chicago. Bonus points: cage fighting. The series isn’t complete yet, as the final installment, titled Raging Star, comes out in April 2014. 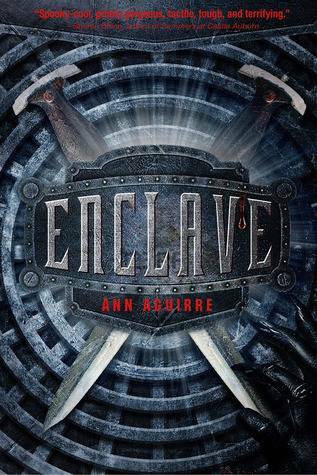 The “Razorland” series, starting with Enclave, by Ann Aguirre. Like Divergent, Aguirre’s trilogy is set in a world where those who make it to their mid-teens are divided into one of three groups. Each group has a defined purpose, and main character Deuce wants to be a Hunter. Hunters gather food from outside the enclave while avoiding the Freaks who want to get them. But when Deuce finds herself paired with Fade at the time of group divisions, she may not achieve her Huntress dream. Deuce may discover something much more sinister about her world, though. This series is more post-apocalyptic than it is dystopian, but it features many of the same appealing elements as Divergent, including a complex female character who proves herself such within the limited confines of her world. In order to become part of the next generation destined to save the world as they know it, teens must The Testing, which will admit them into higher education and onto a promising career path. Cia gets to take part in The Testing, and she’s eager for it. 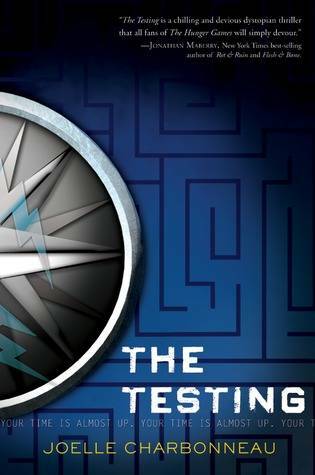 When Tomas, Cia’s long-time friend, offers an alliance during The Testing, Cia will not only be tested through the program, but her emotions and her trust for Tomas will be, too. Charonneau’s book will satisfy Divergent fans for the obvious reasons, but it will also satisfy those who loved The Hunger Games. Book two, Independent Study, will release in January 2014 and the final book, Graduation Day, comes out in June 2014. Other books worth checking out if you loved Divergent include Marie Lu’s Legend series, as well as Michael Grant’s Gone series. And for those readers who cannot possibly stomach another dystopian featuring a girl who is “the chosen one,” I’d suggest checking out Megan McCafferty’s Bumped and Thumped. These two novels are a satire on the subgenre. They’re at once funny and quite complex.